1. 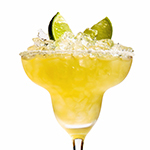 Build all above ingredients (except dry ice and garnish) in a chilled Poco Grande glass and stir vigorously. Add more crushed ice if needed to almost top off drink. Add in the dry ice to give the effect of cold smoke and further chill the cocktail. Add garnish to cocktail, add straw, and enjoy responsibly!